Vermont is a picturesque landscape, but the idyllic setting hides a sometimes dark and desperate past. H.H. Holmes, America's first serial killer, may have been the University of Vermont's deadliest student. A Burlington resident made an empire partly by carrying contraband goods to and from Canada. The first United States president subject to a birther movement wasn't 44, but a much lower number. A Burlington schoolboy ran away with the circus and became an international sensation under the big top. 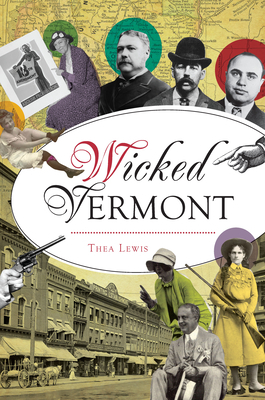 Author Thea Lewis takes a revealing ride through the unique and colorful history of the Green Mountain State.